Description of "The Ultimate Way To Earn Money Online (eBook)"
I Selvaraj Sudan. I eCommerce project management analyst with over 4+ years’ experience developing web systems for small businesses and 3+ years’ experience in internet marketing like Social media, blogging and affiliate. I love working with internet and doing it the right way. Done for you make money from internet facts and promotional strategist. 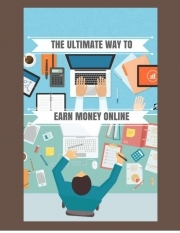 Reviews of "The Ultimate Way To Earn Money Online (eBook)"